You simply fall in Love with these beautiful Handcrafted pillows by Chole & Lex. Made of re-purposed canvas and leather. 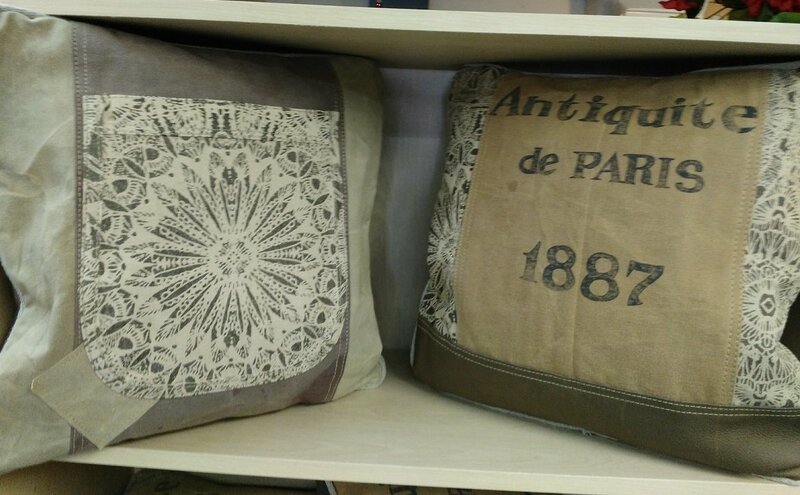 These elegantly designed pillows will make a lovely addition to any home's decor.